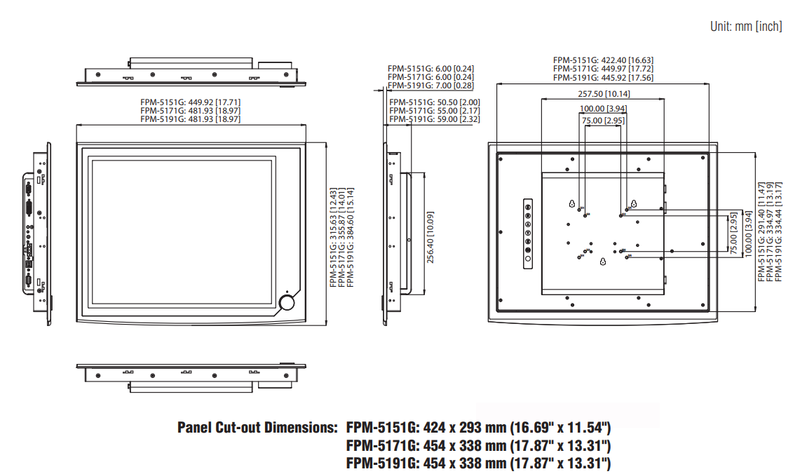 The Advantech FPM-5171G touchscreen monitor is ready for industrial environments. 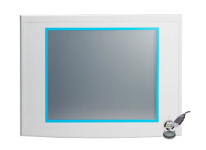 The die-cast aluminum front bezel’s IP65 rating seals out dust and low-pressure water jets. The resistive touchscreen is durable. The 10 – 30 VDC power input is compatible with most electrical controls. Mount on the face of an electrical enclosure or, with accessories, on a VESA arm, on a desk, or in a rack.